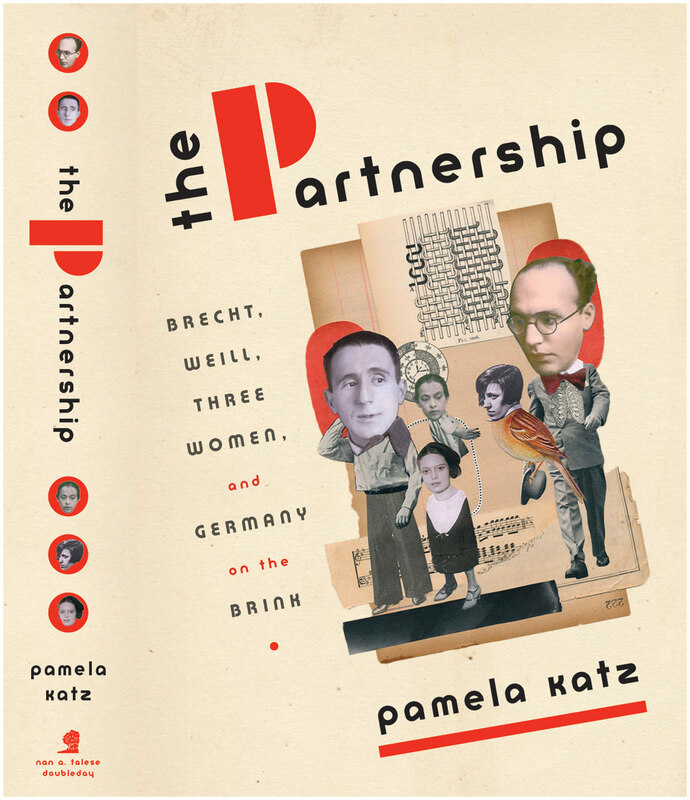 Project: Book jacket for nonfiction book about the brief, stormy and incredibly creative relationship between Bertolt Brecht and Kurt Weill and the three major women in their lives, including Lotte Lenya. 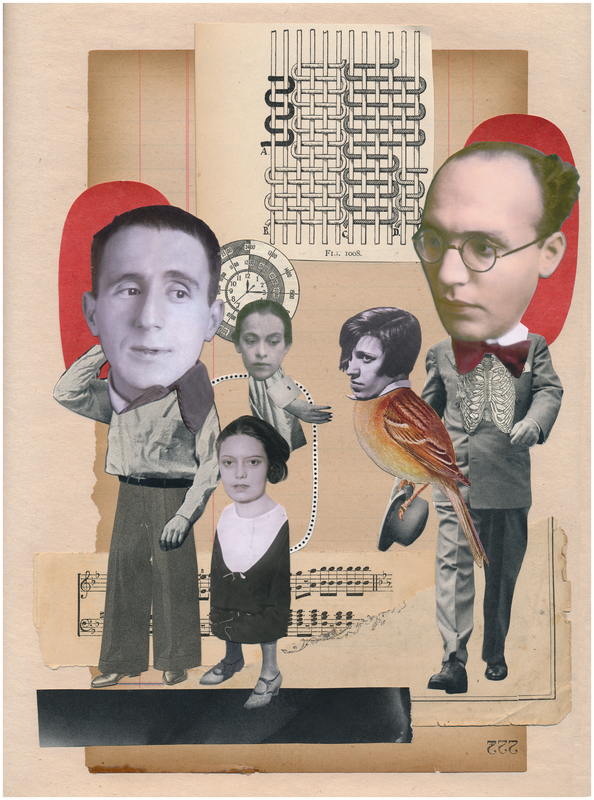 I channeled my inner Hannah Höch (a long-time idol) and the Berlin Dada movement, and went old-school collage with paper, scissors and tearing. 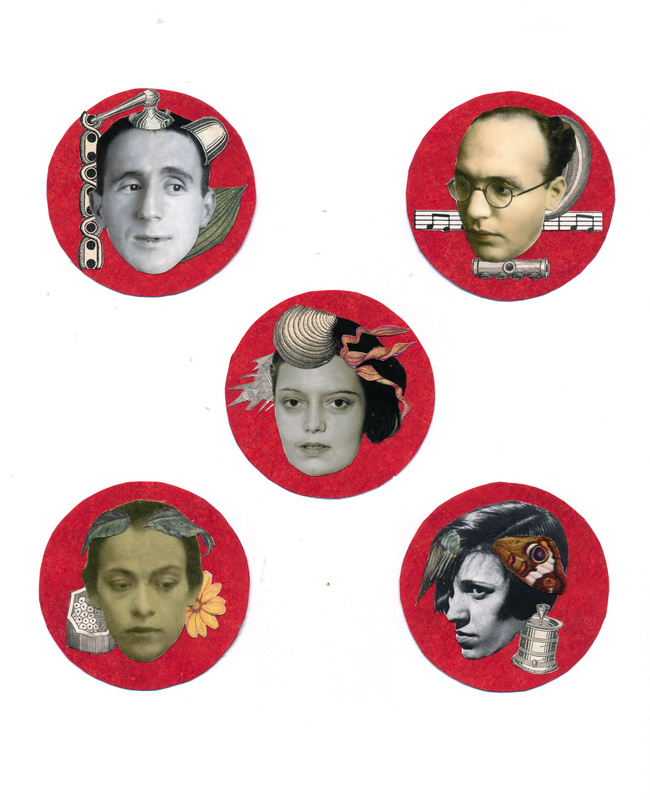 The “spinal spots” were a fun grace note.